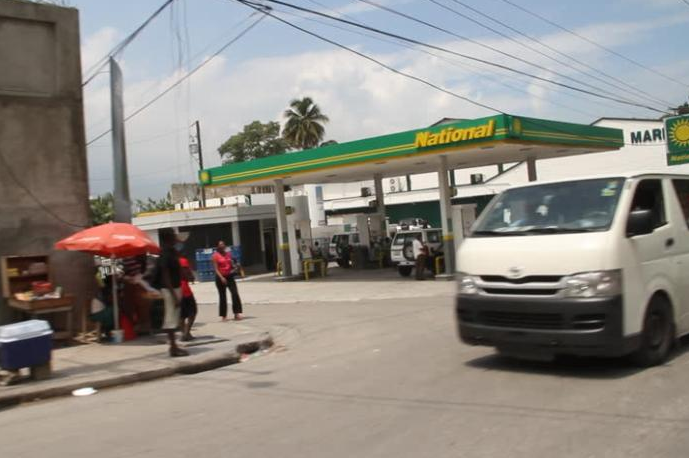 Haiti’s fuel shortage: No US$, no gas! PORT AU-PRINCE, Haiti — The upheaval in Haiti never fully subsided after the protests of 2018 created by the government’s failed attempt to remove a fuel price subsidy as recommended by the International Monetary-Fund (IMF), which was extended and subsequently made worse by the loss of the PetroCaribe subsidised oil agreement due to the current political and economic turmoil engulfing the supplier, namely, Venezuela’s state owned oil company, Petroleos de Venezuela SA (PDVSA), and what seems to be an end to the agreement for the Caribbean by PDVSA and the Venezuelan government. Prior to the apparent full scale collapse of the PetroCaribe oil agreement signalled at the end of November 2018, Haitians were already protesting the lack of accounting and transparency and overall misuse of the PetroCaribe funds and subsequent short-term windfalls generated by the arrangement, of which most of the $1.8 billion owed to PDVSA was accumulated as a result of the previous eight years of support under the agreement given to the Haitian government post-2010 earthquake. With current fuel suppliers to Haiti now claiming that the government is some $35-plus million in arrears which they say must be settled before they can release any more fuel, on top of the ongoing and simultaneous protests over the lack of fuel brought on by the collapse of PetroCaribe, in addition to the lack of transparency in the historical misuse of the PetroCaribe funds, the situation has been exacerbated as a result of the dwindling supply of US dollars to pay down on the millions owed to fuel suppliers. According to the Miami Herald, Haiti’s Bureau of Monetization of Programs and Development Aid (BMPAD) did make a partial payment to the country’s main oil supplier Novum Energy, allowing the release of some fuel. But more than 60,000 barrels of gasoline and 260,000 barrels of diesel remain anchored off the Bay of Port-au-Prince. But Novum is said to still be awaiting more than $35 million in overdue payments in order to release the rest of the fuel supply. BPMAD is currently the only agency allowed to import and distribute fuel into Haiti pursuant to a 2018 presidential decree. Novum Energy and BMPAD enjoyed a good relationship until just recently, a representative of Novum said, with Novum extending credit to the Haitian government for up to $70 million on 45-day payment terms. But the situation has deteriorated significantly and now payment times from the Haitian government can take upwards of 100-plus days as the country grapples with a lack of US dollars to make international payments. With the collapse of the PetroCaribe agreement, Haiti has been forced to buy oil on the open market. However, Novum as well as other companies wish to be paid in US dollars and not in Haitian gourdes for obvious reasons, in addition to not benefiting from the flexibility of the deferred payment terms PDVSA’s PetroCaribe deal offered. As protests over the current fuel squeeze continue and as businesses and consumers alike feel the brunt of the slowdown, there seems to be little or no end in sight. The shorthand version of this Haitian fuel crisis is that the Haitian government needs US dollars now to pay the overdue fuel bill and continue to import fuel to the country and also boost international reserves. The downside of this, as the country’s economy is gripped with this fuel/energy crisis on top of the political turmoil, is an impediment to business and investment, and further pressure on prospective foreign investment, which also puts more downward pressure on international reserves and foreign currency entering into the country. The IMF had previously approved a rapid credit facility (RCF) for Haiti in the wake of Hurricane Matthew. On November 18, 2016, the IMF board approved Haiti’s request for a disbursement of 31 million SDR (about US$41.6 million) in financial assistance under that RCF in order for Haiti to manage its outstanding payments and international reserves and prepare for future financial difficulties if and when they may occur. There is no word on any future dialogue between the Haitian government and the IMF after these most recent fuel protests and what apparently has been underpinning them. International reserves are also expected to deteriorate further if the Trump administration’s move to end temporary protected status (TPS) for 50,000 Haitians residents living in the United States in July 2019. The decision is currently being challenged in a federal court, with a verdict expected after March 1. Haiti’s estimated remittances as a percentage of GDP is some 32 percent as recorded by the World Bank for the year 2017.